The Central Valley of California, which includes Madera, Fresno, Kings, and Kern counties, have state highways that lead to scenic and popular regions. Yosemite National Park, Kings Canyon National Park and Sequoia National Park are accessible through the state highway system. Currently, there is no accessibility for bicycles or pedestrians. That?s why Assembly Bill No 2615 was introduced. This piece of legislation was introduced to give more people better access to federal, state and local parks that are adjacent to or connected to the state highway system. The Department of Transportation will be required to partner with the Department of Parks and Recreation as well as federal, regional and local agencies, or public entities. Bicycle safety means something different to us now than it did when we were kids. We were of a mind that throwing on a helmet was enough then, but now we know the serious repercussions that can happen when we?re not fully aware. Bicycles don?t have any of the protective features cars do. An impact could lead to serious conditions. It could even be fatal. Laws that help promote safety and protect more people with better accessibility for bicycles and pedestrians is a step in the right direction. Most state parks, like Yosemite, Kings and Colonel Allensworth, are popular biking spots, so having more accessibility for bicycles makes sense. Access should be enjoyed. Biking is not only a form of exercise, it?s a form of relaxation, especially when accompanied by refreshing scenic views. While safety should always be at the top of your mind, knowing you?re more protected can help you enjoy the ride. 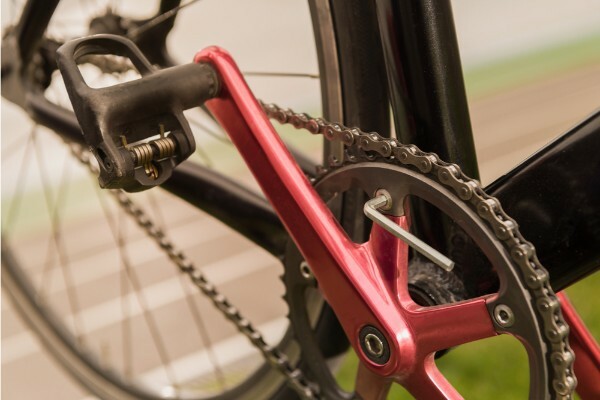 Bicycle accidents and the personal injuries they can create are no joke. If you need someone to take your concerns seriously, call the attorneys at the Maison Law Firm. Big insurance companies don?t want to compensate you for your injuries, medical costs, missed wages and more. We are on your side and will make sure they play fair. Maison Law Firm has three locations that cover the Central Valley. We are in Fresno, Visalia and Bakersfield 24 hours a day, 7 days a week.